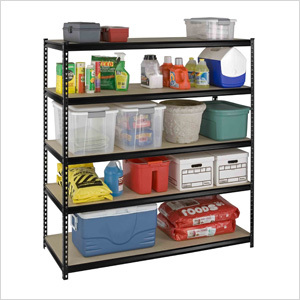 This rack shelving system is consists of heavy duty construction and is designed to organize your garage, work area or storage space. This unit is easy to assemble, is coated with a tough baked enamel and all shelves are fully adjustable. Each shelf has a weight capacity of 600 lbs.